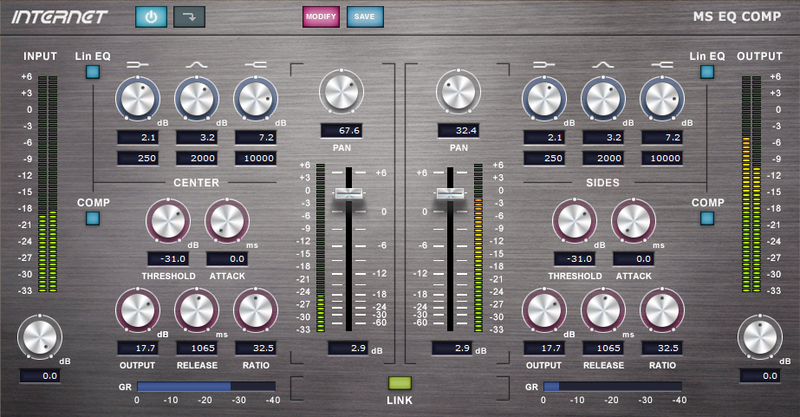 Imaging by INTERNET Co., Ltd.
MS EQ COMP can encode a standard Stereo (left/right) signal to MS (middle and side) and add EQ and Compressor separately to middle and side, and also edit the volume and pan. The output signal is decoded to Stereo (left/right). It helps you to correct the stereo image and the sound ambience of the music, or add the effects to the signal of the particular instruments (for example, drums, vocal, narration, etc) on MS basis.